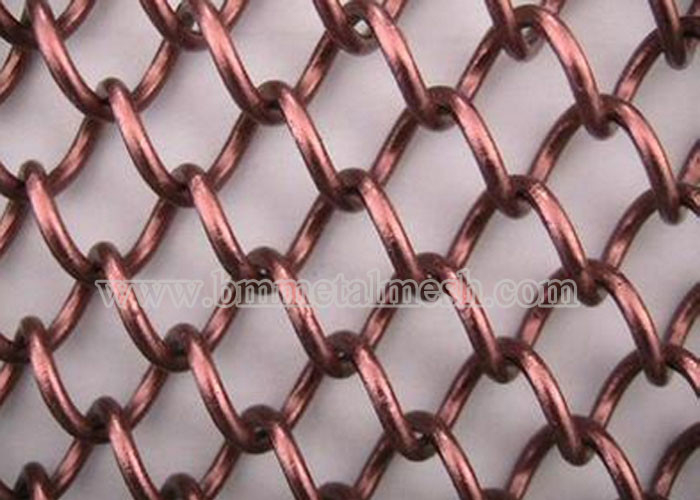 The Chain Link Curtain's structure like the chain link fence, it jointed by the many wavy wires, the wire's length is the curtain's height, and we can make it to any wide you want. 4. The color of the mesh: we have more than hundreds of colors for your choice. You can also choose the color you favor. 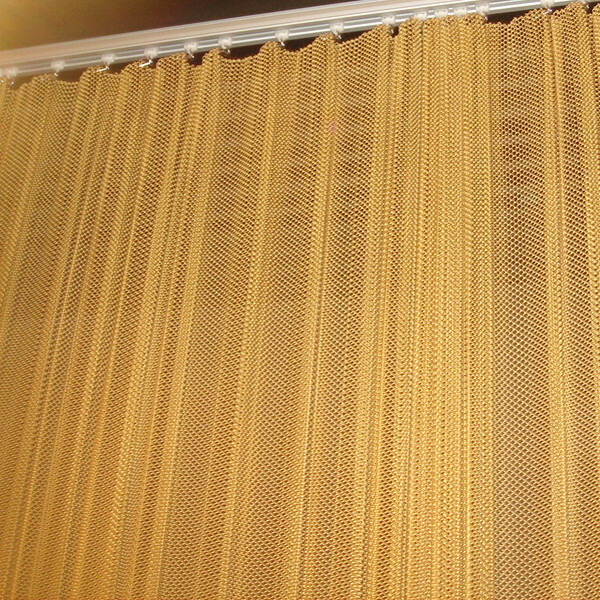 This metal curtain is a new kind of building decoration materials, which are widely used in building elevation ,divider, the ceiling , shade, balconies and corridors, shutter, staircases and airport access stations ,hotels, museums, opera houses, concert halls, office buildings, exhibition halls, shopping malls, such as the high-grade internal and external decoration. Decorative metal building drapery is incombustible, high-strength, robust, easy to maintain, strong functional and decorative effect of lively, strong and can be very good for building structures from the protective effect.